« Welcome to the Sock Hop! It’s Be-Bop-A Blog Hop WEDNESDAY, Daddy-O for October 12th! Fall is now in our midst, putting that glowing summer skin we have in jeopardy. Before long, winter will be upon us making it even more difficult to keep our skin bright and youthful looking. Hydration is key, but so is minimizing the appearance of discolorations and sun damage we've obtained through the years. Of course, while we're working to eliminate that uneven skin tone, it's important to be able to adequately conceal our little imperfections. Thankfully, I've discovered four products which could be just the ticket for transforming your drab skin into fab skin! Keep reading to learn more! Clean & Clear Morning Burst Skin Brightening Facial Cleanser (8 fl. oz. ), which retails for $5.99 with FREE SHIPPING. AMBI Skincare Fade Cream for Normal Skin (2 oz. ), which retails for $5.49. 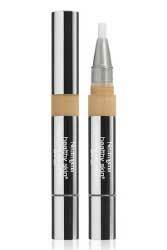 Neutrogena Healthy Skin Brightening Eye Perfector (.17 oz. ), which retails for $13.99. 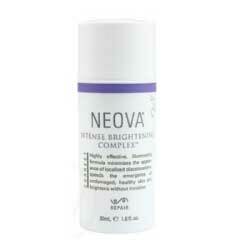 NEOVA Intense Brightening Complex (30 mL), which retails for $49.00. First up is the Clean & Clear Morning Burst Skin Brightening Facial Cleanser. This skin care line is infused with lemon, papaya and caffeine extracts to wake up and instantly brighten dull, tired skin. Designed specifically for young skin, this oil-free line is infused with skin-brightening ingredients to give the complexion a bright and flawless look. This would be a perfect item for your teen or tween to use every morning to give their skin a much-needed boost first thing in the morning. Next is the AMBI Fade Cream for Normal Skin. 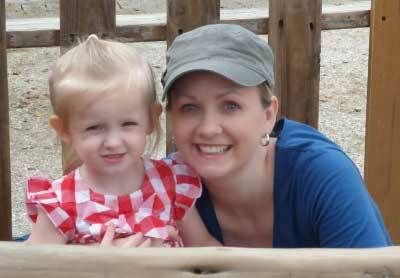 Uneven skin tone and dark marks are two unique challenges that women with rich skin tones face. Women of African, Latin and South Asian descent have special skincare needs because they have a higher amount of melanin. The new and improved AMBI Fade Creams, fortified with Vitamin E and Alpha Hydroxy Acid, have been reformulated for enhanced effectiveness, while still being gentle to the skin. 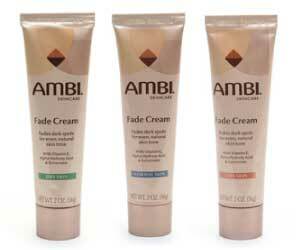 Hydroquinone, the active ingredient in AMBI Fade Creams, decreases the overproduction of melanin. This cream can be consistently used to effectively and safely fade away unwanted dark marks without changing natural skin tone. Results can even be seen in as little as two weeks! Then, I had the chance to review the Neutrogena Healthy Skin Brightening Eye Perfector. This product was one of my favorites, for I have battled dark eye circles for as long as I can remember. Also, because I am very pale and the skin under our eyes is very thin, I always seemed to show veins and wrinkles in this area especially well. Bright eyes are the secret to a rested, refreshed and youthful look, but this delicate eye area is often the first place to show signs of fatigue, including puffiness and dark circles. The Neutrogena Healthy Skin Brightening Eye Perfector is a do-it-all product that not only brightens and conceals, but is clinically proven to de-puff and treat dark under eye circles. Formulated with optical eye brighteners, this silky formula instantly boosts radiance and lightens shadows around the eye area, leaving skin looking refreshed and more even toned. The Healthy Skin Brightening Eye Perfector conditions and protects skin with a patented blend of anti-oxidants, including vitamin E, wild chamomile and soy and combined with a broad spectrum SPF 25. A flow-through brush makes on-the-go application a snap for flawless coverage anytime. Just look at how refreshed my skin and under eye area looks here while wearing the Neutrogena Healthy Skin Brightening Eye Perfector. Last, but not least, is the NEOVA Intense Brightening Complex. This brightening serum is uniquely formulated with four highly effective brighteners (Copper Peptide Complex, U. Phenylalanine, Licorice Root and Plant Extracts) which target hyperpigmentation and diminish the appearance of discolorations without irritating side effects. This serum is suitable for all skin types and is designed to be applied twice per day to affected areas. It's paraben free and restores your skin from the damaging effects of melasma, sun damage and discoloration. I've been using it for almost a week now and can't wait to finally be free of my freckly, sun damaged skin for good! Disclosure: I received the four beauty products listed above in order to facilitate my review. No other compensation was received. This product review is based on my own personal experiences with this item and is completely honest and objective. Great reviews of the products, fall is fast approaching so we should always be prepared to look beautiful everyday.